Croatia – a land of a thousand islands, magnificent nature, treasure trove of impressive history and gastronomy of different regions. The song “Our Beautiful Homeland” by Antun pl. Mihanovic was printed in a magazine “Danica” in 1835 and officially declared a Croatian hymn in 1891. Whilst his live heart beats! The Croatian anthem was created much earlier than the Croatian state in the 20st century. It was written by Antun pl. Mihanovic in a period of revoking a national awareness of the European people in the 19th century and was published in the first magazine issued in the Croatian language – “Danica” in 1835. It was classified as a raising awareness song called “reveille” and become the anthem only 50 years afterwards. The song was put in music by a military musician Josip Runjanin in Glina in 1846, in the period of ruling of Josip pl. Jelacic, and was officially made the anthem in Zagreb in 1891. People who don’t understand Croatian gladly listen to its festive, calm and beautiful intonation. Many find it as one of the most beautiful and peaceful anthems in the world. In everyday speech, Croatian people today equate the first verses of the anthem with the homeland. The Emperor’s Palace is one of the most significant objects of the late antique architecture not only for its level of preservation, but for various original architects forms which are announcing new early Christian, Byzantine and early Middle Aged art. The Mausoleum of Diocletian was transformed into the Christian church in the 5th century. Inside the palaces’ Roman walls there is a harmony between Romanesque churches from the 12th and 13th centuries, Middle Ages fortresses and Gothic, Renaissance and Baroque palaces. Dubrovnik, late Middle Ages planned city on the south Dalmatian coast became an important Mediterranean sea power in the 13th century. Although severely damaged by an earthquake in 1667, Dubrovnik managed to preserve its beautiful Gothic, Renaissance and Baroque churches, monasteries, palaces and fountains. Damaged again during the Independence War, Dubrovnik was included on the list of endangered world heritage of UNESCO in a period between 1991 and 1998. The beauty and attractiveness of the Plitvice arose from the tuff and travertine plants. Plitvice Lakes National Park contains a series of 16 beautiful lakes, caves and waterfalls. These have been formed by processes typical of karst landscapes such as the deposition of travertine barriers, creating natural dams. It’s a magnificent architectural nature phenomena surrounded by thick forests inhabited by bears, wolves and various rare animal and bird species. The Episcopal Complex got its name by a bishop Euphrasius who thoroughly renovated the cathedral and decorated it with famous mosaics in the middle of the 6th century. Before Euphrasius, there were at least two phases of early Christians objects on the same site. Christianity was founded in Porec in the 4th century and the basilica, atrium, baptistery and episcopal palace represent religious architecture, while the basilica combines the elements of the classicism and Byzantium. Apse is lavishly decorated with mosaic which is one of the most significant of the kind in Europe. Trogir is a remarkable example of urban continuity. The orthogonal street plan of this island settlement dates back to the Hellenistic period and it was embellished by successive rulers with many fine public and domestic buildings and fortifications. Its beautiful Romanesque churches are complemented by the outstanding Renaissance and Baroque buildings from the Venetian period. The most significant object is a Cathedral with the Roman gateway (main west portal), master piece of the local architect Master sculptor Radovan and stands as an example of Roman-Gothic art in Croatia. The Cathedral of St James in Šibenik built in a period between 1431 and 1535 bears witness to the considerable exchanges in the field of monumental arts between Northern Italy, Dalmatia and Tuscany in the 15th and 16th centuries. The three architects who succeeded one another in the construction of the Cathedral – Francesco di Giacomo, Georgius Mathei Dalmaticus and Niccolò di Giovanni Fiorentino – developed a structure built entirely from stone and using unique construction techniques for the vaulting and the dome of the Cathedral. The result is a harmony between stones, method of stacking and the cathedral ambience. The Stari Grad Plain is Croatia’s 7th location protected by UNESCO, registered in 2008, on the 32th session of the UNESCO World Heritage Committee in Quebec, Canada. YOU ARE LOOKING TO HOW TO SPEND YOUR VACATION? Sometimes, due to a lack of time, you fail to organize a quality and comfortable vacation, weekend or a day away on some destination call us for organization your trip and summer holiday. ANTROPOTI VIP CLUB CONCIERGE SERVICE will organize for you all it takes to prepare you a trip or summer vacation you were looking for. Zagreb read for one of the best places in Croatia to find good food because there is a large selection of well-known chefs and restaurants. You can try some of the foods that you’ve never had the chance to try out earlier and which at the same time have a great tradition. Depending on the type of food you are searching for, Antropoti VIP club personnel will know what to recommend, restaurants that are popular for themselves, due to the superior quality of its products and the services they provide. Antropoti VIP Club will give you a suggestion of what is good and what is bad. You can visit the restaurant before you went out to lunch / dinner, or even check online. These basic information will give you an indication of what kind of place it is, as well as the type of food you are offering. Antropoti VIP Club will give you a good indication of some of the most popular places to eat in town, go out and arrange transportation or even make reservations. Direction for finding top quality food in Zagreb by tested recipes the one that is most recommended by Antropoti VIP Club. In order to achieve the superb service for our VIP clients, in cooperation with Gastronomadi, we can fulfill all your gastronomic wishes weather preparing food for many guests, smaller group or cooking for VIP private events with special discretion. Antropoti VIP Club can also organize cooking classes with VIP approach, leaving you to choose from our database one of the best and world-renowned chefs in Croatia. Antropoti VIP Club, with its organization, will provide you gastronomic pleasure while having lunches or diners or for any other events according to your wishes. Antropoti gastronomical elitism is very important for the haute cuisine is not the one only served in elite restaurants in Croatia and abroad. The grande cusine is the art of cooking, carefully choosing ingredients for cooking, food preparation, serving the food, look and taste of each bite. Antropoti VIP Club will fulfil all your gourmet wishes throughout Croatia, using either Croatian or foreign cooking recipes and organize preparation of vert tasty delicatessen by the best gourmet experts. You will find out that Zagreb is the city with tastes from all around the world: French, Italian, Japanese, Mediterranean, Mexican, autochthonous Croatian. Regardless of the range of your tastes, you will find yours here. The Antrpoti VIP Club stuff can give you suggestions or reserve the best city restaurants. We are here for you, with our lunch/diner packages in the most beautiful restaurants with a goal to provide you satisfaction and comfort. Population: 790.017 (2011.) Surface area: 650 sq. km. ca 600 AD Decline of the ancient Roman settlement of Scitarjevo (Andautonia). Arrival of the Croats. The earliest evidence of their existence in this area are the graves on Visoki Brijeg in Velika Gorica. 879. Decline of the ancient Roman settlement of Scitarjevo (Andautonia). Arrival of the Croats. The earliest evidence of their existence in this area are the graves on Visoki Brijeg in Velika Gorica. 1094. The Hungarian King Ladislas establishes the Zagreb Diocese. 1134. Issue of Felicianus’ Charter mentioning the founder of the Diocese, King Ladislas, the first bishop of, Zagreb Bishop Duh, and the other clergy. 1217. Finishing and consecration of the principal church cathedral, largely destroyed in 1242 by the Tatars. 1242. The Croatian-Hungarian King Bela IV grants the Golden Bull to Gradec, as a token of appreciation for the citizens who provided him shelter during the Tatarian invasion. 1355. Mention of the first pharmacy in Zagreb. 1557. Another threat to the city – Turkish invasions. The first mention of Zagreb as the capital of Croatia. 1607. Foundation of the Jesuit gymnasium with six forums. 1624. A great fire caused by a thunderbolt catches the wooden roof of the principal church. Great fires were quite frequent before the use of bricks as building material. 1664. Foundation of the first printing house by the Jesuits. 1669. The Croatian-Hungarian King Leopold I grants the right to the Royal Academy to be transformed into a university. 1767. The Royal Council designates Varaždin as its temporary seat. 1771. The first weekly in Latin published in Zagreb – Ephemerides Zagrebienses. 1776. The government seat relocated from Varazdin to Zagreb. 1834. The first permanent theatre in Zagreb opens on the southern side of St. Mark’s Square. 1850. Zagreb becomes a single administrative unit. The first major of the city is Josip Kamauf, former magistrate of Gradec. 1862. Opening of the first railway line, Zidani Most-Zagreb-Sisak. 1880. A severe earthquake strikes the area of Zagreb. 1891. The first horse-drawn tram in the streets of Zagreb. First electric driven tram was in service in 1905. 1896. The first film projection in Zagreb. 1901. The first automobile on the streets of Zagreb. 1909. The first trade exhibition – Economic Convention (“Gospodarski zbor”). 1926. The first radio station starts broadcasting (also the first in this part of Europe). 1956. The first broadcast of Zagreb television. 1957. Construction of new housing blocks starts on the southern bank of the Sava river. 1964. A raging flood strikes Zagreb in the night between October 24 and 25. In the most difficult flood ever, several thousand homes are badly damaged. 1979. Tram lines cross the Sava river. 1987. The University Games take place in Zagreb. 1990. The first session of the Croatian Parliament (Sabor) after the first free, democratic, multi-party elections take place on May 30. Meet Zagreb’s and Croatia’s offer on the best shops, café bars, restaurants and clubs. You can find photos and information about Zagreb here. Don’t get surprised to see dressed up women in Zagreb in the middle of the day, walking on high heels and hurrying to catch a tram, bus or train. Women in Zagreb put lots of care in their appearances to emphasize their good looks and new clothes when drinking a coffee on a famous Saturday “spica” between 10am to 12pm. Besides this top looking women in the middle of the day even when it’s not a special occasion, you will also meet next-door girls often lacking a style. Zagreb is truly a city which lives fashion, beauty and style. Where to shop in Zagreb? 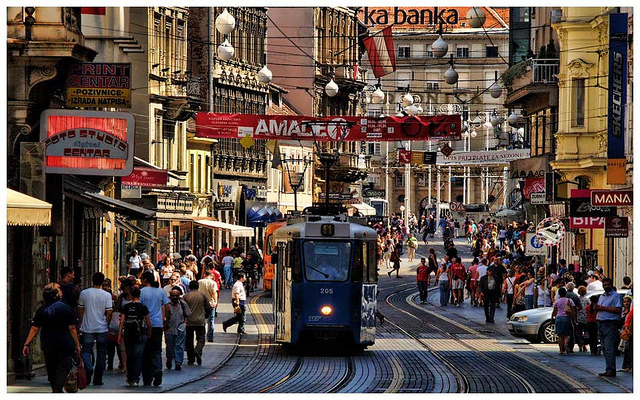 Zagreb is a city with huge shopping offer. With chains of shopping malls, Zagreb offers many different brands, including luxury brands so every VIP client will find it interesting. Discover the city centre rich in shopping malls, Cvjetni square, Kaptol square, Importanne and Branimir Centre. On the outskirts of Zagreb there are Avenue Mall, Garden Mall, City One, City Two, Arena centar and outlet centres Roses and St Helena where you can save lots on designers clothes, shoes and children clothing. West Gate, 20 min away from the centre of Zagreb, is the biggest in Europe. In order to save your feet, time and money and in the end not finding what you are looking for, Antropoti VIP will assist and help you find the perfect styling. Zagreb is Croatia’s capital with a special lifestyle. All roads from other Croatian small towns lead to Zagreb. Its rapid expansion over the past decade has led to a large amount of construction, especially shopping malls, but still maintains its old glamour, charm and history. The Croatian metropolis really offers peaceful and agreeable life to its habitants unlike many other worlds’ capitals. Zagreb is small comparing to other worlds metropolis, but it’s a city where you can always enjoy and have something special to do and see. Night life in Zagreb varies from glamorous clubs to the top restaurants. You can enjoy in live music in elite restaurants or different programs in the top clubs. Zagreb and the ANTROPOTI VIP CLUB have a lot to offer and we are here for you, to help you have a superb fun. Zagreb offers diverse music program in the night clubs and restaurants. The ANTROPOTI VIP CLUB offers you packages that comprise the most interesting and requested exclusive places for evening outs. Zagreb night clubs are famous for their extravagance. Hemingway Bar Zagreb, Split and Opatija, with their diverse programs, always make unforgettable moments. If you are looking for extra service, we can provide you a private table, bottle service, host and limousine transportation. If you are trying to get a VIP table in the best Zagrebs’ clubs, you need to know how to get it and most probably you will not be able to get any, especially not a VIP table. Taking into consideration that they are in high demand, booking of a VIP table in Zagreb is not that easy as booking it in other Croatian towns. In order to succeed in booking a VIP table in any popular Zagreb’s club, you need to be familiar with a demanding procedure, which in the most cases brings no results. And even if you succeed, you will find other dissatisfying elements. The best way to avoid any disappointment is to talk directly to the VIP host. This is the only way to get a VIP table in the best clubs in Zagreb. ANROPOTI VIP CLUB is here for you so you can relax and have fun, and get the best service for your invested time and money. By choosing a VIP package you will make sure to get an unforgettable evening in a night club. Being served by our stuff will give even better feeling of treatment to you and your company and make you feel a real VIP. Secured transportation, VIP entrance to the best clubs in Zagreb, private space booked reserved only for you together with a bottle of two of your favourite premium drinks and attractive hostesses/hosts – once you choose the ANTROPOTI VIP CLUB service, you become our companion having superb evening outs in Zagreb. Clubs in Zagreb are usually crowded and the number of people allowed to enter is limited. If you want to make sure to enter the club without waiting, have a reserved table, we recommend you to engage a host. This is not a classical host you are used to get in, different restaurants and other specialized services for Zagreb’s night life. ANTROPOTI VIP CLUB offers this unique host service in Zagreb – on our website you can search through all the places and book a top evening out, getting all inclusive offer of the exclusive night clubs as a VIP client of the Antropoti VIP Club. Are you tired of being in charge of organizing parties? Have you lost enourmous amount of time looking for a right person who is in charge of booking a table and services in a night club? If your answer on this question is affirmative, the ANTROPOTI VIP CLUB is the answer to your all problems. The ANTROPOTI VIP CLUB offers superb all inclusive party packages, from included limousine transportation to a VIP night club, top restaurants – with affordable parties for a glamorous night. We also offer VIP packaged for ladies and gentleman who are not looking for a host. Every new satisfied VIP client is our new aspiration for even better business success. The Antrpoti VIP Club stuff can give you suggestions or reserve the best city restaurants. We are here for you, with our lunch/diner packages in the most beautiful restaurants with a goal to provide you satisfaction and comfort. When you are thinking about getting from one place to another in a group of people for an evening out, birthday, bachelor or bachelorette party, for sure it doesn’t sound fun anymore as it’s supposed to be. ANTROPOTI VIP CLUB will organize transportation for all your business or personal needs. Limousine with seats for four people, or six to ten people, or even luxury Hummer H2 for up to 18 people, each luxury equipped and practical. Depending on the size and your/your company purposes, we know how and where you will be fully satisfied and VIP. If you are having a corporate event in Zagreb and Croatia, please feel free to call our experts and discuss your requirements and details. Antropoti VIP will provide to your company unique and superb experience at the party when planning a corporative event and destination management. Professional stuff of the ANTROPOTI VIP CLUB can organize all elements necessary for your corporative party in Zagreb and Croatia. Limousine transportation, business lunches/diners packages, best restaurants and hotels in Zagreb and Croatia, entrance to exclusive VIP night clubs in Zagreb including table reservations, bottle service and professional hostesses. The best service of the corporate party is the ANTROPOTI VIP. Zagreb, Croatia and ANTROPOTI VIP will meet all you expectations and make your corporative event memorable. Zagreb is a cultural centre of Croatia. There are dozens of theatres in the heart of the city and numerous concert halls. Especially significant is education of young artists. Zagreb is the European centre for modern and alternative artist movements. 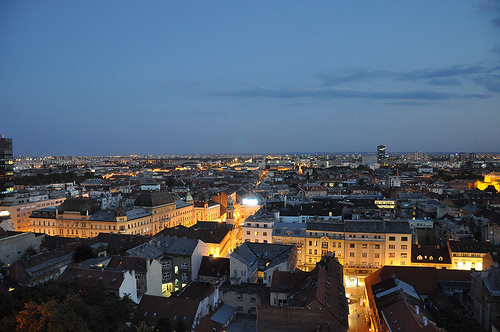 Zagreb is the centre of publishing, film and video production in Croatia. with a sense for an iconic style. They know how to dress up and look excellent. You will surely agree that there is an always present thought of a certain stereotypes of women, and thus also the Croatian women. There are often prejudices, mostly as a result of ignorance and many of these stereotypes are far from the reality. The fact is that to be a Croat woman means a different tradition and culture depending on if a woman comes from Zagreb, Slavonia, Dalmatia, Istria or Dubrovnik. Each of them thinks differently, leaving an individual stamp according to her lifestyle in the region she grew up and represents the unique beauty of the Croatian woman, completely different from the women from around the world. Many agencies conduct surveys on how much money Croatian women spend on beautification. Although with low incomes, Croatian women will spend lots on expensive make-up, clothes, shoes, gym, diet and healthy eating – all it takes to look more beautiful and attractive.